Thank you for your interest in Benares! A staple within the London fine dining scene, Benares, a Michelin starred restaurant specialises in modern Indian cuisine with a distinct British twist. Located in the heart of Mayfair, the sophisticated ambiance and detailed service compliment the flavour infused dishes, inspired by our chef’s extensive travels within India and enhanced by locally sourced ingredients. 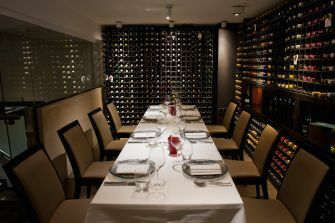 No room hire or deposit is required for private dining events (Excludes December).